The last thing you want to find as a homeowner is a drain clogged to the point of overflowing in your bathroom or kitchen. And while your plumbing system is a finely tuned machine, capable of handling hundreds of gallons of water each and every day, clogs will happen. When they do, it is important to have someone you trust to complete quick and professional service. Drains are the most important aspect of your plumbing system. They are carefully designed to flush water out of a fixture through a series of traps and bends that ensure no sewer gasses leak back into your home, causing health problems for your family. Those traps, however, are narrow and defy gravity in a number of ways. Most of the time, the vacuum created by air in your system will pull the water down into the pipe and through your drainage pipes. However, when a clog is large enough, it can block the flow of water and create a real problem. Drain clogs occur in many ways. There are both acute clogs which involve large objects like wads of paper, small toys or large clumps of hair blocking the drain. These occur when proper drain protection is not used. 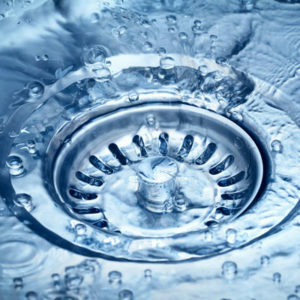 Every drain in your home should have a strainer or trap in place to stop large objects from flushing down your pipes. However, while acute clogs can often be cleared with a plunger or auger, some clogs occur further into your system and will build up very slowly over time. These clogs involve things like soap scum or mineral build up from water in your pipes. As the space through your pipes becomes increasingly narrow, almost anything can cause a clog. If nothing else, the slow clogging of your pipes slows the flow of water and creates slow flowing drains. These kinds of drain problems might occur in your bathtub, toilet, sinks, or basement drains. You can even get clogs in your sewer line drains, or the drains from your roof’s gutter system. If this happens, it is time to take action. The easiest way to fix a clog is with a plunger or auger. We do not recommend the use of chemicals in your drain system due to the corrosive effect they have on your pipes and the risk of injury or illness you put yourself in. If a plunger or auger does not work in clearing any immediate acute clogs, a video camera pipe inspection by a trained professional provides a closer look to pinpoint potential problems. A pipe inspection allows us to see in real time what is clogging your pipes. Our high tech video lines use fiber optic cables to enter the pipes and scope deep into your drainage system and pinpoint the leak. While searching your pipes, a trained technician can take notes and measure things like pipe buildup while looking for a specific blockage. If you have a clogged drain that just will not come unclogged, it’s time to call in a professional. No matter how big the problem, you can count on us to get the job done right. Let’s get started on your drain cleaning project. Call Standard Plumbing, Heating, and Air Conditioning or fill out our online form and one of our specialists will get back to you right away. We appreciate the opportunity to earn a 5-star review!